The dynamics of work and parenthood are in the midst of a revolutionary shift in the United States. 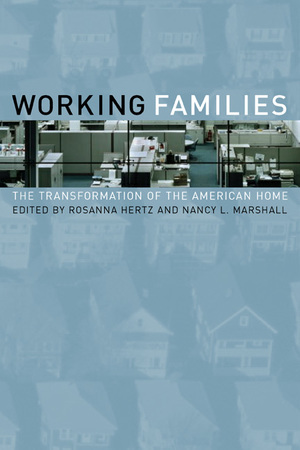 Focused around a major factor in this shift—the rise of dual-income families—this groundbreaking volume provides a highly informative snapshot of the intricate fabric of work and family in the United States. With selections written by leading scholars both inside and outside academia, Working Families offers intimate stories of how families manage and how children respond to the rigors of their parents' lives, as well as broad overviews developed from survey and census data. Taken together, these essays present an updated and integral view of the revolutionary changes in patterns of work and family life occurring today. Using a broad range of methodologies, the contributors reach across gender, age, and class differences. They discuss working-class as well as affluent dual-career couples and work sites ranging from factories to offices. Straddling racial divides, the essays range from studies of white day care providers to a close look at a Mexican maid's daughter. The collection as a whole refutes the assumption that there is one normal type of family or workplace. These readable essays capture our attention as they build, cumulatively, to an absorbing picture of today's families and workplaces. Rosanna Hertz is Professor of Sociology and Women's Studies at Wellesley College and author of More Equal Than Others (California, 1990). Nancy L. Marshall is Senior Research Scientist at the Wellesley College Center for Research on Women.